The ex-US president, the former first lady and the global entertainment service announced the deal in a statement on Monday. Netflix said the couple have “entered into a multi-year agreement to produce films and series for Netflix, potentially including scripted series, unscripted series, docu-series, documentaries, and features”. The Obamas have created Higher Ground Productions as the entity under which they will produce the content. Mr Obama said: “One of the simple joys of our time in public service was getting to meet so many fascinating people from all walks of life, and to help them share their experiences with a wider audience. The shows would give Mr Obama, who was US president for eight years until Donald Trump took over after the 2016 election, an unfiltered way of talking to the public. He already has an audience on Twitter, where he has 103 million followers (Mr Trump has 52.1 million), and Facebook, with 53 million. Mrs Obama has a further 17 million followers on Facebook and 10.7 million on Twitter. The Netflix deal will give them the ability to reach 125 million subscriber households in 190 countries. Among the issues close to the former president’s heart are health care, voting rights, foreign policy and climate change; while the former first lady championed the importance of nutrition during her time in the White House. 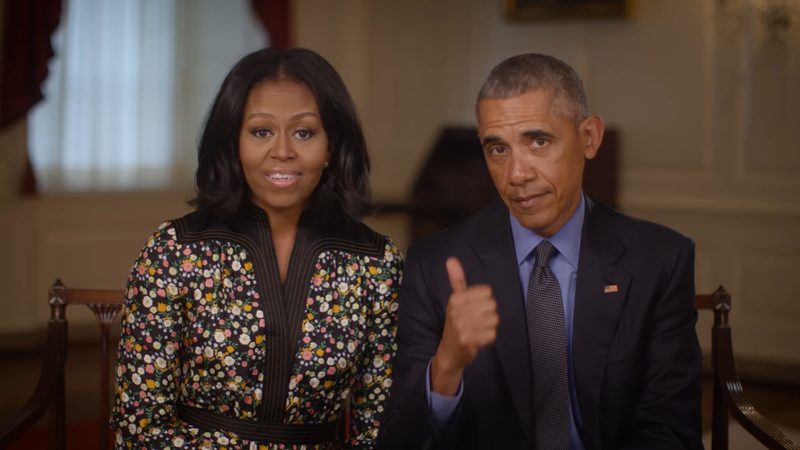 In March it was reported that talks between Netflix and the couple were “advanced”, and it was also said that the Obamas would not use the shows to respond to the current US President or their other conservative critics. It has not been revealed how much the Obamas will be paid under the deal.